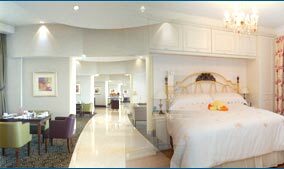 Hotel offers its guests with 397 rooms and suites that have been divided into guest rooms, regency club rooms and suites. Hotel also offer non smoking rooms but that is only on special request. Special rooms for physically challenged people have also been made on the 4th and the 5th floor. These rooms are located close to the elevators. Hotel rooms also offer special bed height and thermostat temperature controls, lowered closet rods and peepholes. Elegantly appointed rooms awaits you at this hotel. In total of 369 rooms that have been divided into Superior, luxury, deluxe, Taj Club rooms and suites. All the rooms and suites offers a blend of modernity and comfort. Loaded with modern gadgets and ammenities the room offer ultimate comfort to its guests. Non smoking floor with complete facilites that are required by the non smokers. Hotel offers 582 centrally airconditioned rooms that also include 49 suites. As the hotel have been divided into two wings the hotel offers rooms in the Tower Wing category that offers city facing and sea facing rooms and the same goes for the heritage wing of the hotel. 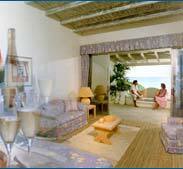 All the rooms are well planed and designed to provide utmost comfort to its guests. Hotel offers 272 rooms and suites with each one of them designed and decorated to offer personal touch to the discernig travelers. All the rooms that are offered by the Hotel Taj President have a touch of sphostication that is offered by all the Taj properties. Most of the standard rooms offers a breath taking sea view or wonderful city view. Apart from these the hotel rooms also offers two line telephone with direct dial facilities and a big screen television. Hotel offers 547 rooms & suites with each room fit for a king or a queen. Luxurious stay is the second name to the accommodation offered by the Hotel Grand Hyatt. Hotel offers spacious rooms that are designed and decorated to provide the guests with a cushioned stay. 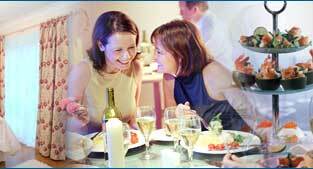 For stay exceeding 30 days hotel offers two and three bedroom apartments. Hotel offers 358 guest rooms that also including 36 suites and a combination of superior and deluxe rooms. Each room at the hotel have been designed to provide its guests with the pleasure of a wonderful stay at the Marriott. Each room and suite in the hotel have been loaded with ammenities to provide guests with luxurious stay. Front Desk, Elevator, Free Newspaper, Free Parking, Bar, Banquet, Restaurant, Safe Deposit Box, Room Service, Conference Facilities, 24 hour Coffee Shop, Business Centre, Separate Executive Floor, Executive Lounge, Beauty Parlour, Shopping Arcade, Swimming Pool, Health & Fitness Centre. Hotel offer a total of 171 rooms that have been decorated and designed to provide the luxury at its best to the guests. The elite Royal Club floor provides guests with exclusive privileges for the discerning guests at the Royal Club are entitled to additional benefits. Hotel also have specially chossen the staff for the hotel to serve the guests with the best possible service. Sun N Sand Hotel is one of the finest beach hotels in Mumbai. Hotel offer the idyliic settings with eazy access to the to almost all the major attractions of the city and also to the domestic and international airport of Mumbai. Hotel offer enough restaurants in its complex that one can taste almost all kind of food that the hotel have to offer to its guests. A total of 386 elegantly decorated and spacious rooms that also includes the exquisite suites that offers hand crafted furnishings. All the rooms and the suites have been decorated to provide the guests with the best in the industry. The rooms have been categorized into 32 ITC One rooms, 77 Sheraton Towers rooms and 246 Executive Club rooms. All of these rooms are the best that Mumbai can offer. Hotel offers a total of 425 rooms and 32 suites including a very elegant Presidential suite. Every modern comfort and amenity that can be expected from a hotel of this stature and category is offered in this hotel. Specially designed to provide elegant Indian décor to the guests the hotel have been very succesful in the industry for pst several years. The Presidential Suite with its contemporary European decor offers a luxurious residential ambience. Hotel offers a total of 368 rooms and suites. Speciality of these rooms and suites apart from offering extra large space is that the hotel rooms have been designed and decorated to the best. These rooms have been divided into 290 deluxe rooms, 48 Club InterContinental rooms, and 30 luxurious suites. Absolutely wonderful mix of traditionalty and modernity is offered by the hotel at its best. Hotel overlooks the Arabian Sea and is one of the major boutique style hotels of Mumbai. The over sized rooms promises guests the pleasure of stay at a InterContinental hotel. The dream location offered by the hotel overlooking the ocean and on one of the most major tourist spot of Mumbai makes it the first choice of guests.